Benton Harbor city manager Darwin Watson updates the community on how the city is responding to elevated levels of lead in the city's drinking water. “This is my results,” he says, showing me the paper. 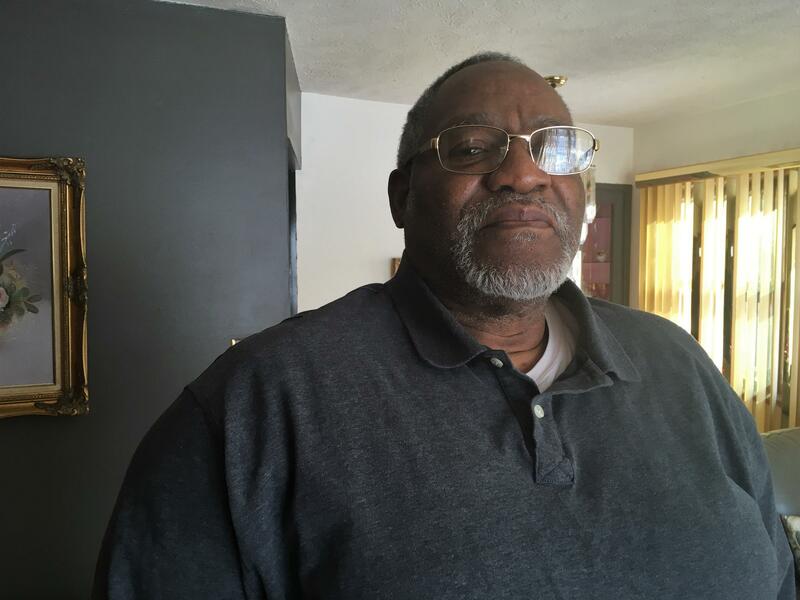 Thomas and his wife got their drinking water tested after the city first announced in October that it had found elevated lead levels in several homes in the city. “The results were saying that anything over 15, you’re in trouble,” he says. Fifteen parts per billion is the level of lead in water that’s considered the “action level” by the EPA. It’s the point at which steps need to be taken. Thomas’ water had lead at more than twice that level. His number was 34. 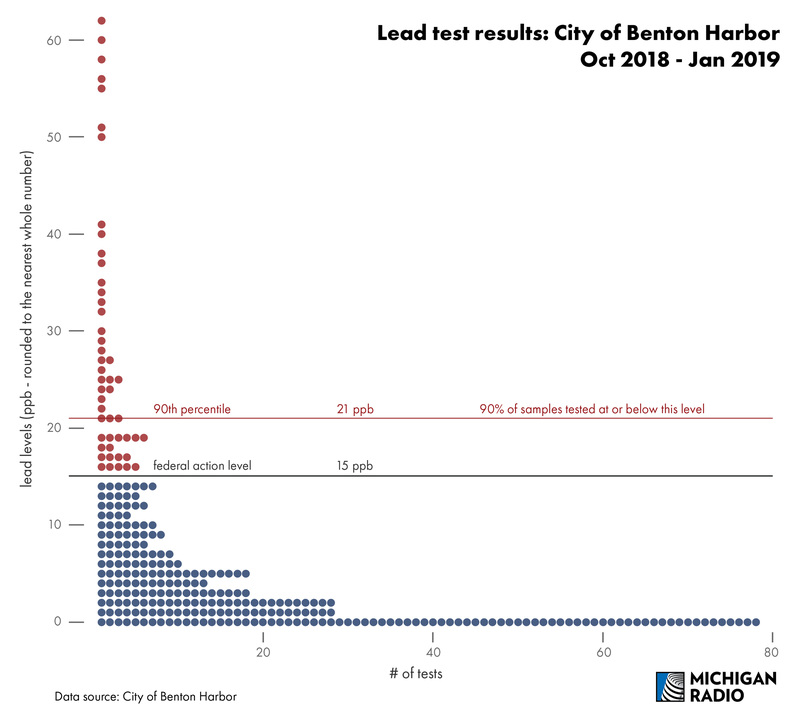 Ninety percent of lead tests in Benton Harbor since October 2018 have fallen at or below 21 parts per billion. The federal standard is 15 parts per billion. "Right away what I did was I started calling people," Thomas says. Thomas’ home is one out of more than 50 in the city that have had lead levels above 15 parts per billion in the drinking water. Since the city first got its results back in the fall, nearly 300 water tests have been done citywide. Benton Harbor is not the only city in Michigan where elevated lead levels showed up in the drinking water in 2018. Hamtramck, Parchment, and the village of Lawrence all exceeded the EPA action level for lead in drinking water last year, according to the Michigan Department of Environmental Quality. Listen below to hear Stateside's conversation with Michigan Radio Senior Editor Sarah Hulett about why we're seeing more reports of lead in water in Michigan, and what you can do if you find out your home's water has lead in it. Listen to Stateside's conversation with Michigan Radio Senior Editor Sarah Hulett. It’s a situation that could become more common in Michigan, as water systems around the state get older. “Right away what I did was I started calling people,” Thomas says, about the day he got his notice. He called the county. He says he called the state of Michigan. He got directed back to the city. He didn’t have any luck. Finally, he heard the city was holding a public meeting. So he went to that. At the meeting, residents found out what the city’s been up to. Lots of testing. And digging. Literal digging in the ground to investigate and remove water lines that may have lead in them. City manager Darwin Watson says the city has gotten a jump on replacing water lines thanks to a grant from the state that was awarded last summer. And the city has more than 2,500 water lines, Watson says. No one knows which ones, or how many, might have lead in them. That’s because decades ago, when the water lines first went in, no one thought lead was something worth keeping track of. What the city has to do now is go line by line, starting with the more than 50 homes like William Thomas’ where the water has tested high for lead. And the state grant money won’t be enough to do all the work. The reason all of this matters, even if you don’t live in Benton Harbor, is because of how Benton Harbor found itself with a lead problem in the first place. The story is very different from what happened in Flint, where a disastrous decision to switch water sources lead to the crisis. What happened in Benton Harbor was: nothing. Nothing changed. Water treatment was the same. The water source was the same, drawn from Lake Michigan like always. And still the levels of lead went up. Maybe it’s that the pipes are getting older and the deterioration of the lead has accelerated. Maybe it’s just that the testing for lead has gotten better. No one in the city, or at the state really knows right now. What everyone does know, with at least a little certainty, is that this won’t be the last city in Michigan to have a lead problem in the water. And the problems, when they’re found, are a lot more likely to look like Benton Harbor’s problems than Flint’s. Click here to learn how to find out whether you have lead pipes in your home. Benton Harbor is offering to test the water at any home in the city, after initial tests showed elevated levels of lead in eight homes.